Launched in the UK in June 2006, the SmartLipo® device from the Italian company Deka uses a laser system to break down fat. Marketed by them as Laserlipolisi , or Laser Lipolysis, this laser-assisted liposculpture treatment breaks down the membranes of the fat cells, transforming them into an oily substance (liquid fat) that may be removed through low-pressure suction or absorbed and eliminated by the body itself. The procedure is significantly less traumatic than traditional liposuction (i.e. less bruising and quicker recovery times) and involves practically no loss of blood, (due in equal parts to the type of anaesthesia used and the heating effect of the laser which causes coagulation of the blood). 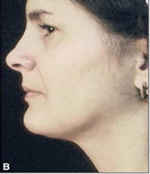 In addition, the low level laser energy helps to stimulate collagen production in the skin resulting in skin tightening. Under anaesthesia, a small puncture or incision is made in the skin and the laser light is conveyed through the insertion of a micro-cannula (with a diameter of 1mm) into which an optical fibre has been inserted; this conducts the Nd:YAG laser beam emitted by the system in ultra short pulses (causing minimal heating). The surgeon is able to see where the end of the cannula is at all times due to a visible red light that shines through the skin from an additional “guidance” optical fibre housed within the micro-cannula. The surgeon can then move the cannula is a fan-like pattern to effectively and evenly liquefy the fat in the treatment area. Due to the small size of cannulas used (1mm) this liposculpture treatment is considered to be minimally invasive when compared to traditional liposuction techniques, meaning that delicate areas such as the face, forearms, upper abdomen and knees can be treated using this method. The fat is then disposed of via the body’s natural processes, or it can be removed via a syringe or low-level suction through the already created incision. This would be decided on patient/surgeon choice, although more often than not the fat is not aspirated (sucked out) and is simply left to the body to process. American FDA approval for laser lipolysis granted 31st October 2006. Trained doctors and surgeons only. 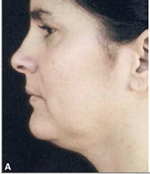 What is SmartLipo used to treat? How long does SmartLipo treatment last? The results are seen gradually over a number of weeks, though it may take up to four months for the maximum effects to be seen. This is because your body continues to process and naturally remove the released fat until none is left. However, right from day one most people can feel the treated area(s) as already having less fat when squeezed between the fingers. Expect minor swelling, bruising or tenderness for a few days or longer. Rarely infection and haematoma (collection of blood underneath the skin) can occur following treatment. Asymmetrical (lop-sided) results and minor scarring can be long term risks associated with laser lipolysis using Smartlipo®. It is not a cure for obesity, so those with a Body Mass Index (BMI) over 30 will not be suitable candidates. Private costs for Smartlipo® treatment depends on the size of the area(s) being treated, and the number of areas that you have done in one treatment session, and can range from £1500 – £4,500. A prospective, randomized, double-blind, controlled clinical trial comparing laser-assisted lipoplasty with suction-assisted lipoplasty. Prado A, Andrades P, Danilla S, Leniz P, Castillo P, Gaete F.
Plast Reconstr Surg. 2006 Sep 15;118(4):1032-45. Lasers Surg Med. 2006 Mar;38(3):181-4. 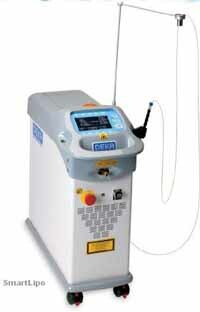 Laser lipolysis using a novel 1,064 nm Nd:YAG Laser. Dermatol Surg. 2006 Feb;32(2):241-48; discussion 247. Click for ALL Smartlipo ® clinics in the UK & Ireland registered and verified by Consulting Room.